"Today, my boss fired me via text message. I don’t have a text messaging plan. I paid 25 cents to get fired." 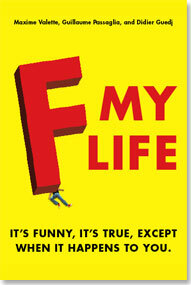 Enter the devastatingly funny world of F My Life, where calamity is comedy. Covering every disastrous pratfall in love, work, family-life, and more, F My Life proffers other people’s ruinous, real-life happenings to brighten your gloomiest day: someone getting dumped through a greeting card, ignored at their birthday party, or insulted by their own grandmother. Spanning everything from ironic twists of fate to down-right shameful moments, F My Life’s squirm-inducing stories are schadenfreude at its finest. 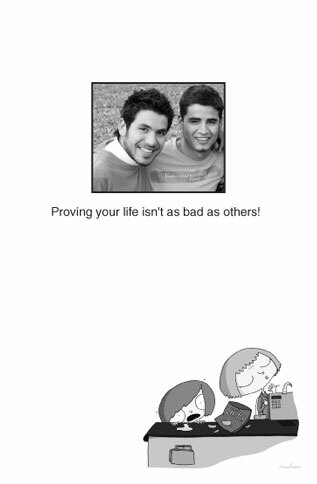 So today, take solace in knowing that at least you’re not that guy. There now, don’t you feel better?